Commencing April 12th, the Limited Release Day-Pass or Weekend Pass for the Signature Weekend (June 15 and 16) will be available for purchase with automatic entry into a draw for free weekend accommodation! If you are a lover of all things seafood it’s time to mark your calendars and buy your tickets to the largest seafood festival in Western Canada. 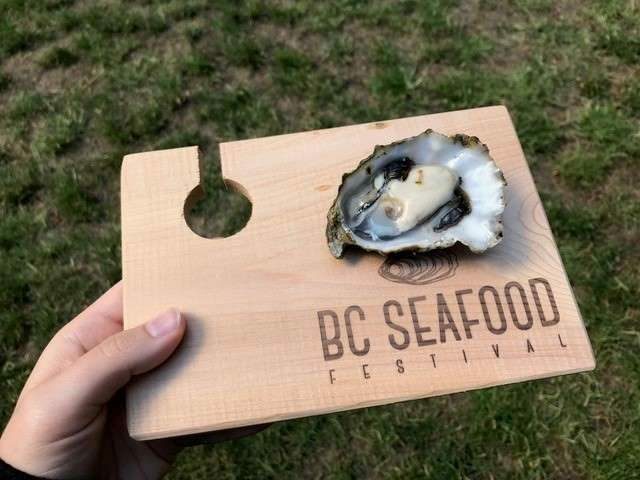 The 13th annual BC Seafood Festival is once again being held in the Comox Valley, Vancouver Island, from June 7-16th, 2019. The Comox Valley region is well-known for its culinary bounty from the farms and sea-to-table and is the largest producer of oysters in Canada. Back by popular demand, the BC Seafood Festival is featuring another fun-filled Signature Weekend with numerous cooking events and celebrations held over three-days, including: celebrity chef demonstrations; award-winning shellfish and seafood tastings; interactive & educational displays; and competitions. Visitors can enjoy the return of the famous Fanny Bay Oyster Shucking Competition, the Best Caesar in Town and the annual Chowder Challenge and ultimate seafood cooking contest with the BC Seafood Festival Chef Challenge presented by Garland Canada and FortisBC. Largest Kids Interactive Zone featuring numerous Touch Tanks and Interactive Displays, and Seafood Cooking Classes. Coming soon: Led by Chef Producer of the BC Seafood Festival, Nathan Fong, an impressive line-up of chefs and mixologists for 2019 will soon be announced to the public. An incredible number of partners and sponsors continue to support the Festival including Air Canada, Garland Canada, FortisBC, Buy BC, Flying Fresh Air Freight and Coast Capital Savings. For more information and tickets: Limited Release Signature Day-Passes for the BC Seafood Festival Signature Weekend will be on sale at www.bcseafoodfestival.com starting April 12th. Contest details will be posted at www.bcseafoodfestvial.com Tickets will sell out so don’t be disappointed and get your tickets early! For more information about the Comox Valley, accommodation, tickets and the BC Seafood Festival go to https://bcseafoodfestival.com or call the Vancouver Island Visitors Center 1-855-400-2882.